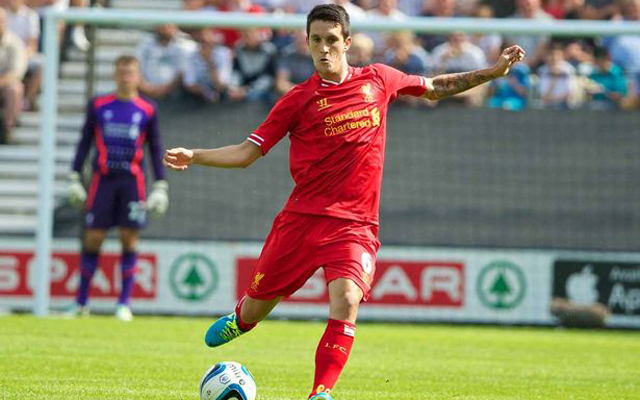 Spanish playmaker Luis Alberto returned to Melwood for pre-season this summer, but a few weeks in, the club has decided it’s best to cash in on him while his stock is still relatively high. The Echo claim Liverpool have very much put the 23-year-old up for sale, with his former club Sevilla at the front of the queue. According to their report, we’re looking for £7m, which in this day and age, isn’t especially big money – considering Alberto’s promising form in La Liga for Deportivo last term. When sold, Alberto will be the latest in a long line of Reds players leaving this transfer window. Martin Skrtel’s £5.5m switch to Fenerbahce has been finalised, while Sergi Canos transferred to Norwich earlier in the week. The club is trying to offload both Mario Balotelli and Christian Benteke, while Jordon Ibe is on the verge of signing for Bournemouth with Liverpool accepting their £15m offer. That opens up the possibility of more arrivals before the window closes in September – although with no European football and youngsters from the Academy developing at a rate of knots – our summer business might be done.